When there is a local establishment that does great work I like to use my blog to give a little shout out and maybe try to promote it in my own little way. 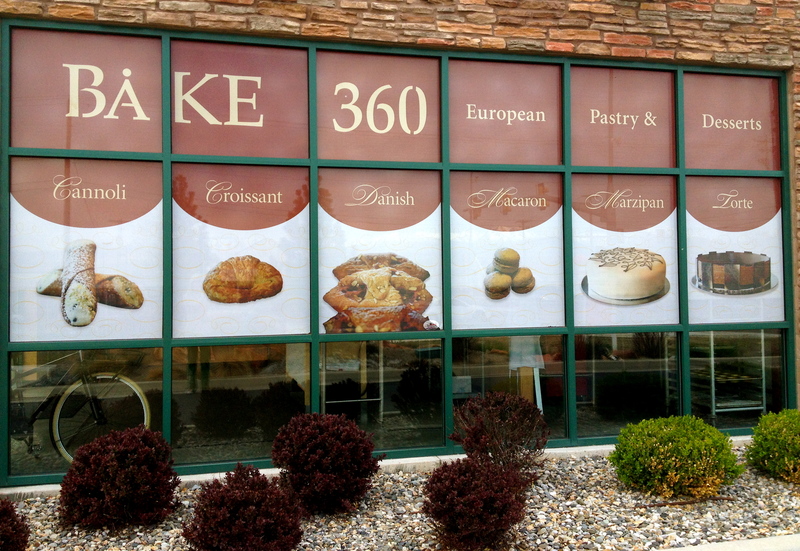 One such place is a bakery in my hometown of Draper, Utah called Bake 360. I can honestly say it is as good if not better than any bakery I’ve ever been to. Everything is meticulously made and you feel guilty tearing into it (in more ways than one) because they are so pretty, works of art really. An exhaustive review is unnecessary – Just go! Right now! Oh, the poor tattered remains of my diet….After our Saturday visit where we ordered a fairly stupid haul of pastries to sample, my wife asked how much the damage was. When I gave her a figure in the low $20 range, she was gobsmacked. The love and care that goes into each product is evident and while paying a bit more might have been understandable, I really appreciate the effort to keep things reasonable. I’ve only been there three times since I discovered the place a month ago (and one time I didn’t even eat anything – I just smelled the air and bought stuff for friends. No, no – real friends. Not “air quotes” friends). 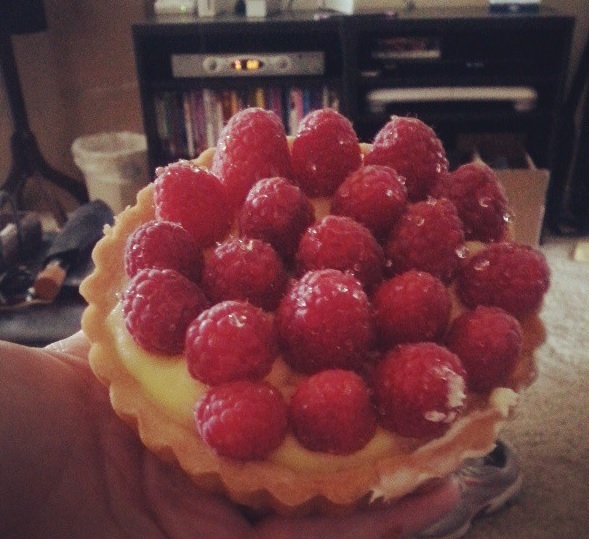 I really didn’t mean to get in my car, drive 10.24 miles, and purchase baked goods there. It just happened. I haven’t gone there like, 26 out of the last 30 days. So I don’t have a problem. Those are not crumbs all over my car. I don’t know what you’re talking about. I wouldn’t have to go if there were better bakeries close by. Well, that should give you some ideas. 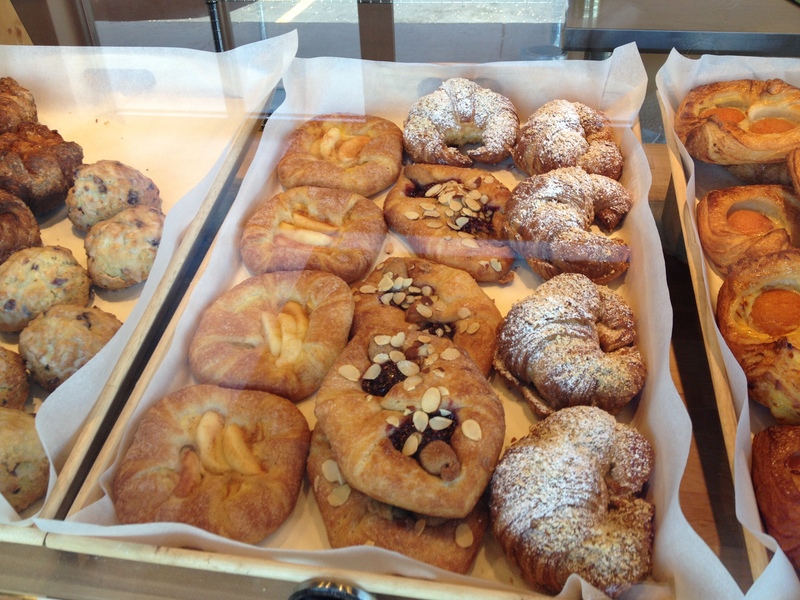 They always have a wide selection of pastries including scones, kouing aman, chocolate croissants and apricot pastries with pastry cream. 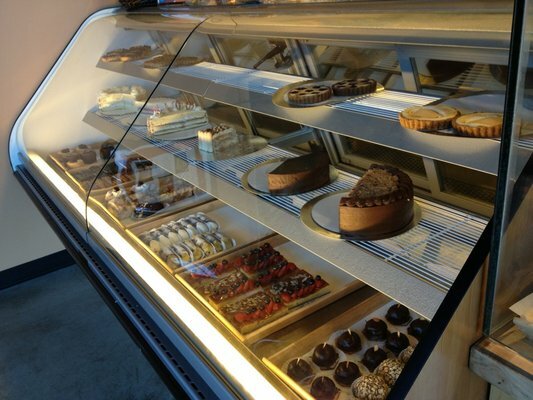 If you aren’t in the mood for pastries they have a whole case of other desserts like eclairs, brownies, cheesecakes and tarts. All are some of the best I’ve ever had. 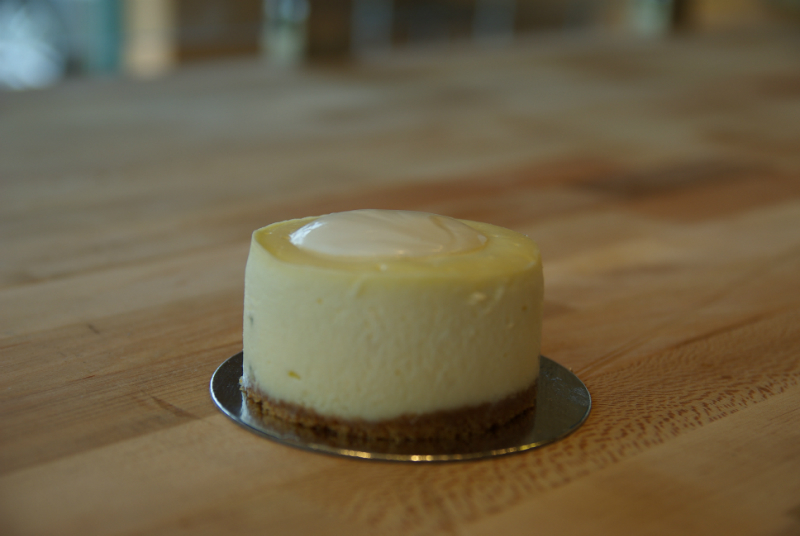 Some particular standouts are the creme fraiche cheesecake and raspberry tarts. 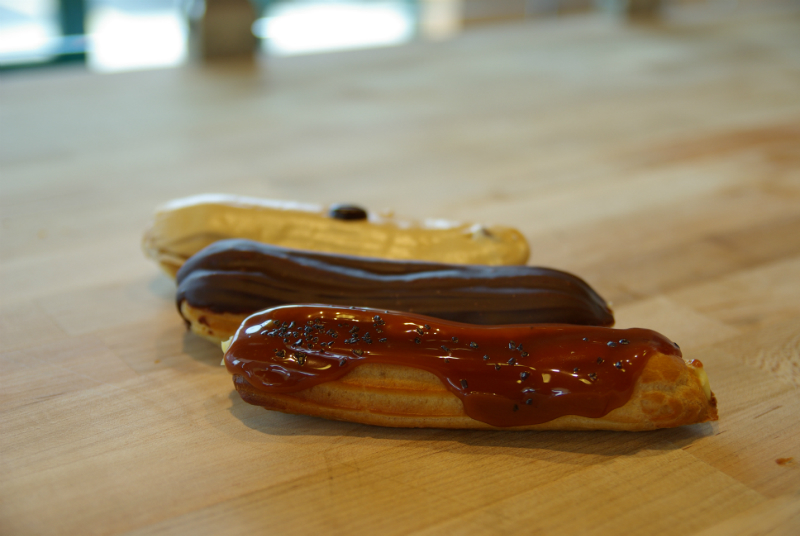 Eclairs. The one with the caramel sauce, holy cow! 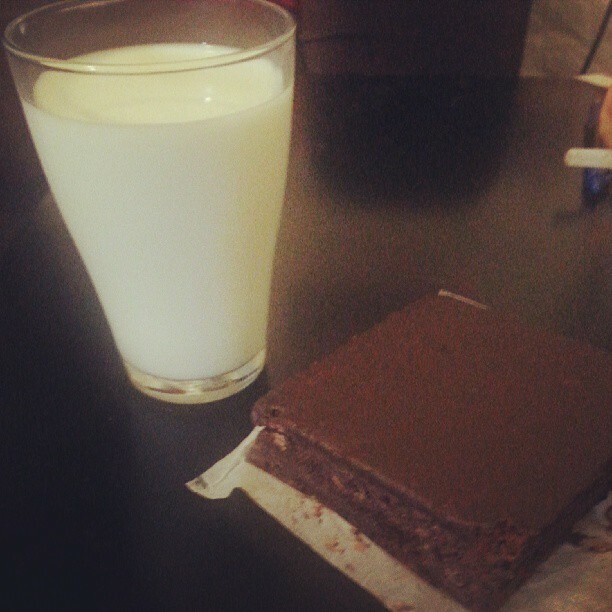 My trainer says if you are going to have a treat make it a ‘hell yeah’ treat. Meaning don’t waste your calories on some lame cookie. Get something really good. Bake 360 totally fits that bill. They even have pastry classes I’m dieing to take. Although they say you only take the class to realize you should buy them! The service is also great at Bake 360. The staff is all well versed on every item including explanations as to where ingredients were sourced and how it was prepared. They even have french macaroons for the gluten free crowd (although not always in stock). The only flaw with Bake 360 is there is no seating so you have to take your treat elsewhere; however, there is a coffee shop called Dancing Yetti’s next store that makes all kinds of drinks and has 2 sofas, so in a pinch you can bring your treats there and get a drink. 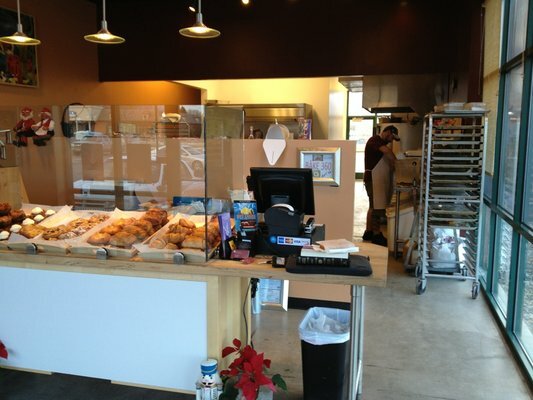 The lack of seating keeps the prices down and you can get a lot of pastries for under $20. Check it out! You won’t regret it.